Check our current proposals for bachelor and master thesis projects and get in contact with us. The research group “Information Systems & Service Design” (ISSD) headed by Prof. Mädche focuses in research and education on designing interactive intelligent systems. Our work is positioned at the intersection of Information Systems (Wirtschaftsinformatik) and Human-Computer Interaction (HCI). 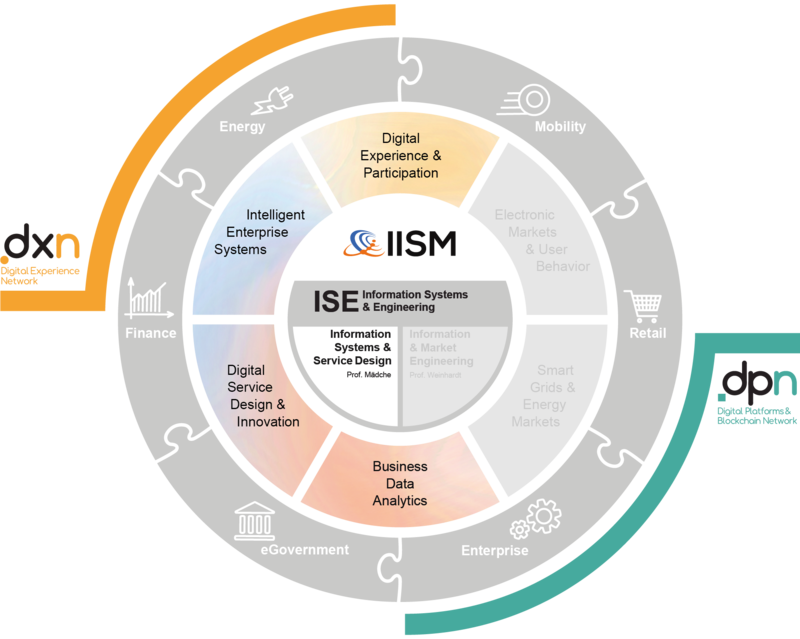 Specifically, we investigate the lifecycle of information systems from a user-centered digital transformation perspective as well as novel concepts of interactive intelligent systems for enterprises and the society. The research group belongs to the Institute of Information Systems and Marketing (IISM) and is embedded into the Information Systems & Engineering group. It is also part of the Karlsruhe Service Research Institute (KSRI).